Mr. Brown recently became Of Counsel to the firm. 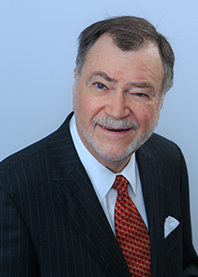 He has practiced law in New Orleans for 45 years, primarily in the field of civil litigation, including extensive practice in the area of state and local public law, land use and expropriation matters, railroad law, civil rights and class actions. Mr. Brown has extensive appellate experience and has argued more than sixty appellate cases which resulted in reported decisions. He has served as a part‑time member of the faculty of the Tulane Law School Clinical Education Program. Mr. Brown has been selected by his peers to the list of Super Lawyers in Louisiana in 2011-2014. He was selected as one of the Top Lawyers in New Orleans by New Orleans Magazine in 2012, 2013 and 2014.